This is a lovely teacup/saucer set in mint condition from the Famous Poets series. This one features Robert Burns and has beautiful gold on the rims. 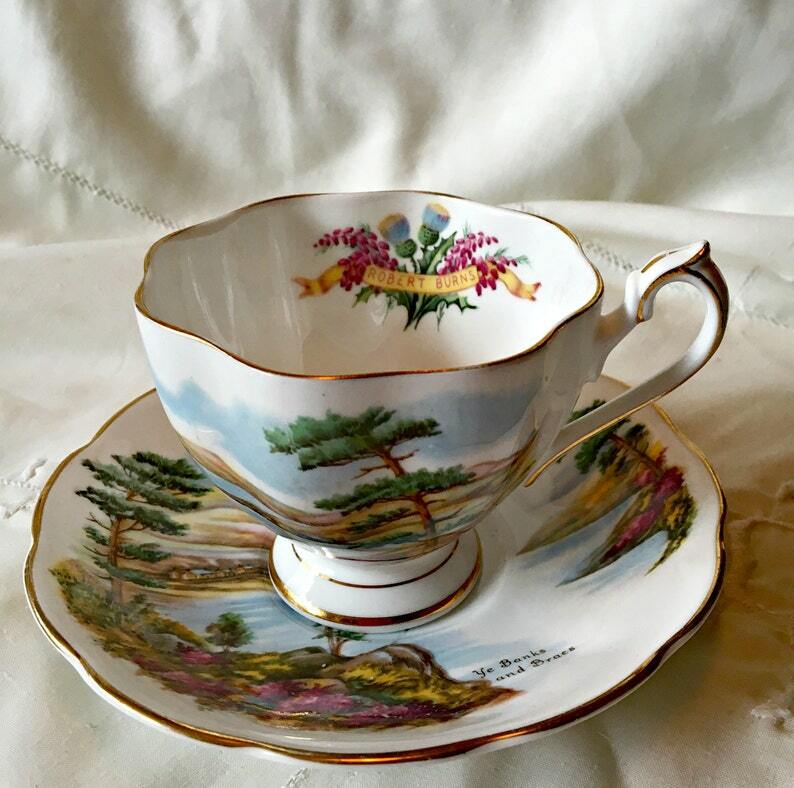 The detailed painting on both the cup and saucer is just beautiful. Perfect for your tea parties or to complete your collection.